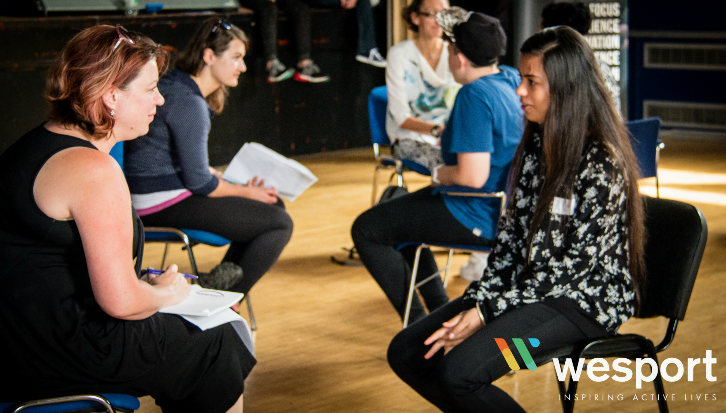 As part of the Dame Kelly Holmes Trust all–female ‘Get on Track’ (GOT) programme running in Bristol this summer, Bristol Learning City supported volunteers to deliver mock interviews for the group. ‘Get on Track’ is a personal and social development programme to support young people facing disadvantage. This summer saw the fifth programme delivered by 2nd Chance Group supported by The West of England Sport Trust (Wesport). All the young women who have taken part will move into positive progressions within education, employment or training. With help from Bristol Learning City a volunteering opportunity was disseminated through their Learning Ambassadors and partner network, the response to support was overwhelming. The event saw 12 volunteers deliver mock interviews for all the graduates of the GOT programme. Learning Ambassadors and volunteers from a variety of organisations donated their professional time to support young women who are facing disadvantage. The opportunity for the group of young women aged 16 – 25 to undergo a series of mock interviews became a learning environment for everyone involved. After a short briefing and a few nervous introductions the group were off to a flying start. The interviewers just outnumbered the interviewees which left a good pause for feedback to be collated for each of the young women. As the timer ran down the four minutes allocated for the ‘speed dating’ style mock interviews, each young woman appeared to gain confidence after each rotation. Smiling and introducing themselves with handshakes recounting challenges they had encountered over the last five weeks whilst participating in the ‘Get on Track’ programme. “I just wanted to say how much I enjoyed the ‘Get on Track’ session yesterday, and how much I learnt from it – from the girls themselves, from the staff in charge and from the other volunteers. It was the first time I’d volunteered for a programme such as this and found the experience thought-provoking and inspiring”. The Dame Kelly Holmes Trust and Wesport would like to thank the volunteers and the support from Bristol Learning City; they look forward to working closely with the Partnership for future projects.